Tesla now has a domain name that makes sense. If you wanted to check out Tesla’s auto lineup, you had to navigate your browser to teslamotors.com. It made sense, but only if you knew about the domain — or your favorite search engine knew you were looking for cars, not info about Nikolai Tesla. 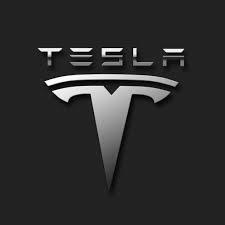 The domain tesla.com was owned by a Nikolai Tesla fan Stu Grossman for quite some time, which prevented the car company from using it as their Web-based home. That issue has apparently been resolved, as tesla.com now directs you to Tesla the company. It’s not clear if Tesla paid Grossman to have the domain, or if he simply forgot to pay GoDaddy (or Google Domains, or whichever company he goes through) and Tesla snapped it up. Either way, it helps Tesla in the long run. Outside of cars, Tesla has moved into green energy, and CEO Elon Musk probably has a few other initiatives he’d like to fold into Tesla — and it’s new website. Next articleYou’ll soon be making payments using a selfie, your clothes or your car?